We’ll start at the beginning of your day, with the Morning Routine. The importance of having a specific set of activities to perform each morning to set you up for a productive day is widely known and put into practice by many successful people in all industries. Notable examples of people who utilize a morning routine to set themselves up for success include Oprah Winfrey, Richard Branson, Tony Robbins, and many, many others. The way you wake up and begin each morning can greatly influence the tone for your entire day. Having a specific, well thought out schedule of activities to perform can help you start off right. Common elements of the morning routines of successful individuals include some form of exercise, quiet reflection or meditation, a healthy breakfast, planning a schedule for the rest of the day, and identifying 1 or 2 main priorities for the day ahead. These are all good ideas to incorporate into your own morning routine. In addition, as a VO talent, another worthy activity to incorporate into your routine could include a 10-15 minute vocal warm up. Most people don’t wake up with their voice at 100% and incorporating a warm up into your morning can help you get the cobwebs out and prepare your voice for the auditions and jobs ahead, right from the get-go. 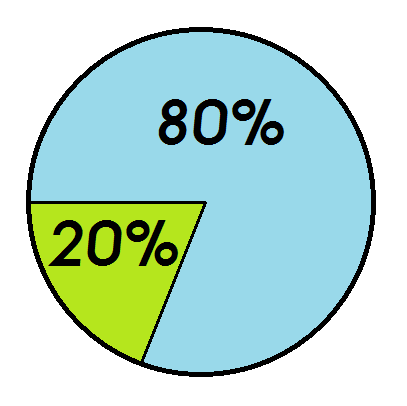 As an entrepreneur and VO talent, you can utilize the Pareto Principle by identifying what your 20% is, in various aspects of your business, and placing more of your focus there. The 80/20 ratio doesn’t only apply to sales/clients. It can also apply to bookings/marketing efforts and even audio quality/studio setup. Meaning that in addition to 20% of your clients being responsible for 80% of your revenue, 20% of your marketing efforts are likely leading to 80% of your bookings and 20% of your studio makeup is responsible for 80% of the final sound you are getting. Identifying what these important “20%” factors are and placing a focus on them can improve your productivity and results over time. The idea of Timeboxing is to allocate chunks of time to specific tasks, and utilize those periods of time to focus only on that task. This is a great way to break large formidable tasks into smaller, more manageable ones. It’s also a great way to promote focus and flow, and keep yourself on task throughout the day. During your morning routine, you can set aside a few minutes to plan your day and create Timeboxes for yourself to work on specific tasks. This sort of specific, clear plan is a great way to increase productivity and effectiveness throughout your day. The Pomodoro Technique is a related concept to Timeboxing, and involves working in small chunks of time (typically 25 minutes) separated by brief periods of rest (3-5 minutes). After a set number of cycles (typically 4), a longer rest (10-15 minutes) would be taken. This is also an effective way to tackle a large task, by breaking it into smaller components and can be helpful in promoting concentration and focus. 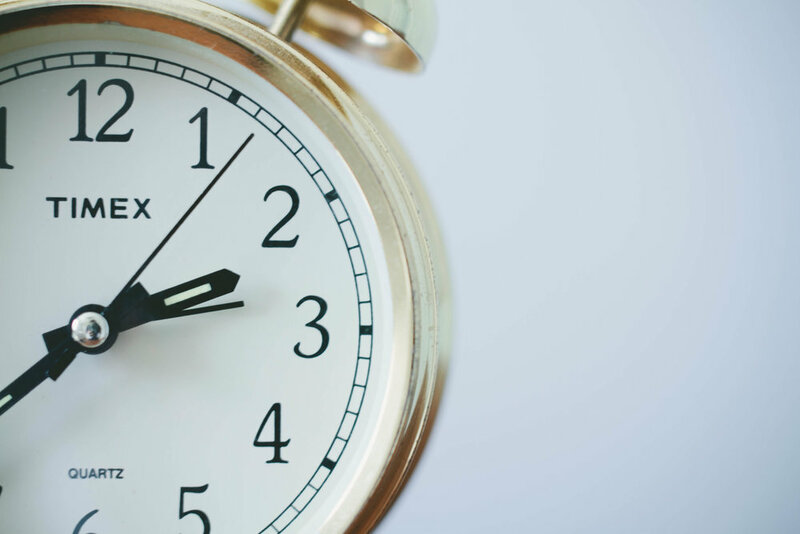 As VO Talent, we can use Timeboxing and the Pomodoro Technique to help organize our day into segments with specific chunks of time allocated to our essential tasks and even a chunk of time dedicated to “extra” or “miscellaneous” tasks which often pop up in our line of work. Rather than just rolling out of bed and right into a whirlwind of projects, auditions, marketing, accounting, invoicing and other tasks related to our business, we can utilize time during our morning routine to effectively segment our day and create Timeboxes for each task we’d like to complete by day’s end. Batching is a practice used in many different fields as an effective way to group similar tasks and reduce the time it takes to complete them. It involves identifying tasks that are either the same or very similar and completing them together in one “batch”, rather than at various times throughout the day. For a VO Talent, there are a number of tasks that are good candidates for Batching. Auditions are are one of the best and among the many ways to optimize them, Batching is a big one . Rather than opening and closing your recording software or turning on and off your interface several times, you can record your auditions in batches. This isn’t to say you need to record all of your auditions for the day in one sitting, but you can set up blocks of time to batch record auditions and knock out a bunch of them at once. If a great audition comes in after you’ve completed a batch, you can always record it as a one-off audition, or if you feel ok waiting a bit, you can save it until a few more come in and you can record another batch. Other tasks that are good candidates for batching include Invoicing, Accounting Tasks such as recording job information, Updating your CRM system, and Marketing. Keeping track of where your minutes are going throughout the course of the day can be a great aide in staying on task and getting more done. You’ve likely had some days (or lots of them) where you ask yourself “Where’d the day go?” By tracking your time and how long you've worked on which tasks, you can get a clear answer to that question at the end of the day. There are lots of great tools out there to help you keep track of time and there are 2 techniques I recommend to try for VO Talent. The first is simply tracking each activity you do throughout the course of the day, so when you start auditioning, you would start the timer on “Auditioning”, then when you move on to a project, you would start the timer on “ABC Voice-Over Project”, etc… At the end of the day you have a clear picture of how much time you spent on each activity, and when you compare the total to the length of your workday, you have a great image of how productive you were. Another option is to simply track one task with your timer, distractions. Simply start the timer every time you go off task. When you open up facebook, start the timer. Flip on the TV for a few minutes, start the timer. Get a phone call from a friend, start the timer. You get the idea. At the end of the day look at the total and see just how much time you've spent during your workday, not actually working. This can be eye-opening and do a lot to help you refocus and dedicate yourself to staying on task. To sum up, staying productive can be one of the most challenging yet essential parts of being a VO Talent and entrepreneur. By utilizing methods such as a Morning Routine, The Pareto Principle, Timeboxing, Batching, and Time Tracking - you can set yourself up for focus, productivity, and success. Try choosing at least one method presented in this post and incorporating it into your workflow for a full week. Set aside a few minutes at the end of the week to observe and reflect upon the effects it had on your focus and productivity. If you’ve successfully utilized any of these productivity methods yourself, or have any additional ones that you’ve gotten great results from, I’d love to hear about it! Let me know in the comments. In addition to the information in this post, you can download a free Resource Guide covering great apps, tools, and other resources to help you learn more and put these productivity principles into action, as well as a PDF version of the post for offline reading. Just click the button below to download!